Elizabeth became aware of the need for the New Evangelization while in the three years of her formation as a Marian Catechist and wrote over 100 published meditations on Sacred Scripture for The Journey, www.daily-meditations.org. 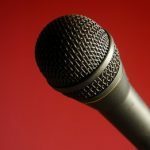 In 2006, she created her blog, http://elizabethtichvon.wordpress.com, and following Jesus’ example, now teaches through her own parables so that by sharing her stories through social media, might bring others closer to the heart of Christ. As a Consecrated Marian Catechist, her spiritual life is the foundation of her writing. Mary Ellen Barrett is a home educating mother of seven children. She writes a column for The Long Island Catholic called “Our Domestic Church” and speaks at conferences about homeschooling and raising a special needs child. Mary Ellen writes about the daily life and happenings in her Catholic home on her weblog, Tales from the Bonny Blue House and about a Catholic celebration of Christmas at O Night Divine. Jennifer Fitz is a writer and homeschooling mom of four, who sometimes does something really crazy, like accounting, or teaching religious education. She’s always loved teaching, and cut her teeth as a catechist at the hands of the two most patient DREs in Columbia, SC. Like many lay volunteers, she started teaching religious education without any formal training in classroom management techniques. Week after week she struggled with one problem: How do I get these kids to behave? The good news is that classroom management is a specific set of skills anyone can learn and master. Jennifer has put what she’s learned into a book for catechists, coming 2013 from Liguori Publications. Learn detailed, step-by-step methods for turning chaos into order so that both students and teachers can enjoy discovering the faith together. Jennifer’s catechist formation workshops have received enthusiastic reviews. She has taught courses on Catechist 101, Classroom Management, and Choosing Activities for Elementary-Age Students. Her classes focus on the underlying principles of problem-solving and decision-making, so catechists can apply what they’ve learned to any classroom situation. You can find Jennifer elsewhere on the internet at The Catholic Writer’s Guild, CatholicMom.com, and NewEvangelizers.com. 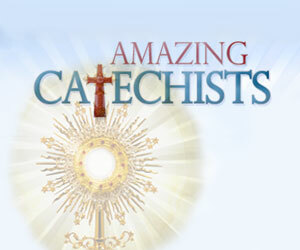 Download free Catechist handouts at her personal blog, JenniferFitz.wordpress.com. The easiest way to contact her is via e-mail: currentresident (at) fitzes (dot) com. Steve is also an Account Manager for Lighthouse Catholic Media. He offers a great way for the laity to evangelize through LCM’s unique CD of the Month program. Many great Catholic speakers teach the faith through www.CatholicCDoftheMonth.com.